The rehearsals are over, the eggs are stuffed, the royal crown is polished, there are only a few last-minute alterations to the costumes … As every year since the end of the 19th century, the excitement is at its height in San Antonio when April is preparing its big annual festival. Ten days during which his population triples. So come quickly because the more we are crazy, the more we laugh! When the commemoration makes way for celebrations, this gives the San Antonio Festival, “Fiesta San Antonio”. Since 1891, the whole city has gone down to the streets to celebrate the two great battles of Alamo (13-day siege during the Texan Revolution, where the Mexicans decimate the Texans), and San Jacinto (the decisive revenge, where the Texans crushed the Mexicans and put an end to the revolution). In a state famous for its American patriotism, this festival is all the more exceptional as it pays tribute to both Texans and Mexicans, as well as to all the communities that make up the multicultural wealth of the city. Initially, it was a parade called “Battle of Flowers”, during which carts decorated with flowers crossed the city and the petals fluttered all the way. The parade was mostly incongruous because only women organized and animated it. But the success was such that the event quickly became an annual event for the people of San Antonio, then for the whole region. Today, Fiesta San Antonio is no longer a single parade but more than 100 events that spanned 10 days of festivities. Thanks to the Commission created in 1959 to organize and coordinate thousands of volunteers and non-profit organizations, the festival has become one of the largest in the United States. A boon for the city of San Antonio who, in partying, also benefits from all the economic benefits of it. Most of the funds raised are directly transferred to the benefit of the municipality and its inhabitants. Each party often has its own association. The city would have benefited from $ 284 million in 2007 – It makes confetti. To enjoy the party, it is always good to have the traditions, habits and customs in mind. Without his royalty, the San Antonio Festival would not be what it is today. The tradition is that each year, different sovereigns are elected on the basis of their associative or community involvement. Inescapable institution of the festival, the Order of Alamo thus designates the queen and its court made up of 12 duchesses of the city and 12 duchesses coming from other countries. Many kings are elected, but the most famous is King Feo, who reigns over the students for whom he has raised funds all year long – thank you who? With all that, we almost forget the two battles at the origin of these festivities. To preserve this military legacy, the participants set up a uniform worthy of the most ferocious soldiers! Do not be offended if a stranger breaks a “cascarón” on your head; on the contrary, it will bring you luck in the future. This is especially a good excuse for colorful egg fights filled with confetti. Carefully painted or dyed and then trimmed with a pinhead-sized hole, these cascarones are the accessory in-dis-pen-sand of this festival. And as long as there are still confetti, the party is not over! Between the parades, parties, shows, exhibitions and the many food stalls planned throughout the festival, you do not know where to turn? Here are the places you need to be. Whatever happens. The oldest event of this festival is well worth the detour. Discover all these colorful floats animated exclusively by women and do not miss the sumptuous parade of the Queen of San Antonio Fiesta and its courtyard. Just like our ski resorts have their descent, the festival of San Antonio has its torchlight parade. As soon as night falls, the whole procession lights up a thousand lights and begins its march to the sound of the fanfares. It shines ! They are over 40 to scroll just for your beautiful eyes on the local river. Led by the Texas Cavaliers who honor the memory of the heroes of the Battle of Alamo, these floating tanks seem unsinkable despite their fine ornaments. Costumes, music, local food and fireworks, everything is together at this party to spend an unforgettable moment. Its specificity? Oh, there are just over 100,000 oysters served raw, cooked or fried. Are you there already? Since 1951, this show has been working on the zygomatic of all participants. Everyone is laughing heartily: politicians, people of power but also you and us. A self-deprecation celebrated with jubilation. If you are planning to attend the Fiesta Festival in San Antonio, we invite you to make plans in advance and book your transportation well ahead of time. 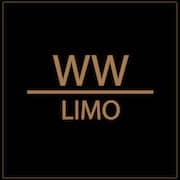 At WWLIMO San Antonio, we offer Limousine Service, Luxury SUV or Party Bus for bigger groups. Please visite WWLIMO San Antonio or make a reservation using the form below.